Your muscles and joints are protected by fluid-filled sacs, called bursae. These sacs act as a cushion and can become inflamed due to injury. The bursae also act like a ball joint between two muscles. When they become inflamed, any movement is painful. Bursitis is the inflammation of the bursae. Bursitis can come from infection, injury, overuse and trauma. The cause may be something as simple as sitting at a computer all day. Bursitis often affects your hips or shoulders and may last six to eight weeks. Treatment will start by trying to reduce your inflammation through cold therapy. Then, a chiropractic adjustment will be done to check if the joint is misaligned. If this is the case, the pull on the muscles will be altered and this can create more irritation and inflammation. 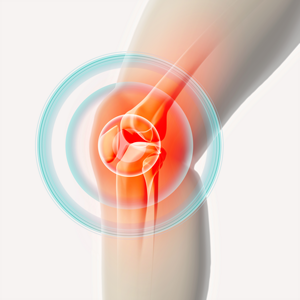 Our treatment will make sure the joint is in the optimal position. Lastly, we will help you to heal further with exercises and ongoing treatment and advice. Have you been experiencing these symptoms? Give us a call today or book an appointment.